Insect harem polygyny: when is a harem not a harem? In the context of animal behaviour, a harem is generally recognised as a mating system where a single dominant male defends and mates with a group of females. Examples of harem polygyny are best known from mammals. A small number of insects, though, have been described as being harem polygynous but information on insects which display this mating system is scarce, and it remains poorly studied. Here we review the mating systems of these “harem polygynous” insects. 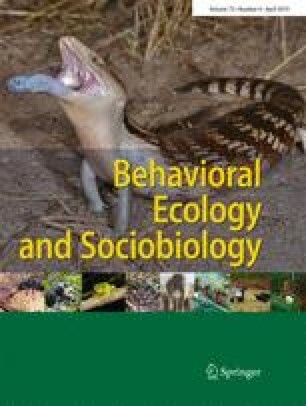 We identify four main behavioural characteristics that, apart from individual males mating with multiple females in a group, are often associated with harem polygyny in vertebrates: exclusive maternal care, monandry, male-biased sexual dimorphism and temporal continuity of harem composition where the dominant male guards females from intruding males over a prolonged period. All four characteristics are commonly seen in mammals with this mating system, but no insect described as harem polygynous consistently displays all of them. Further, the mating systems of these insects can change within a breeding season, which suggests that they adapt to the changes in their environment by switching between polygyny and monogamy or female defence and resource defence polygyny. Thus, the occasional occurrence of harems in such insect species represents temporary “marriages of convenience”—with individuals (male and female) maximising their reproductive potential by adjusting their behaviour to fit the current situation. MJG is supported by Deakin University Postgraduate Research Scholarship. We thank Glauco Machado and a second anonymous reviewer for the valuable comments on the manuscript.